You notice over your morning coffee a stern warning emanating from your television as the very serious business reporter notes the Dow opening down 1 percent. What do you do? If you screamed, “Sell!” or “Panic!” perhaps you should take the advice of some of the world’s savviest investors and turn away from the stock ticker for the rest of the day. You may be envisioning dollar signs flying out of your wallet, and you want to get on the phone and sell. You may even see an opportunity to buy. However, market gurus advise that if you have a wise strategy, you should stay the course. Billionaire and real estate magnate Warren Buffet told CNBC in 2016 that buying or selling in a rush may not be the best strategy. “If [worried investors are] trying to buy and sell stocks, and worry when they go down a little bit … and think they should maybe sell them when they go up, they're not going to have very good results." Such a panic move could unbalance your portfolio where you are either taking on more or less risk than you should. A balanced portfolio is a must for surviving a stock market crash. You can re-balance by selling other assets like bonds or even commodities. Then you can invest in stocks that are down in price. It’s not a panic buy; it’s a strategic move that fits your original investment plan by taking your portfolio back to the ratio of stocks to other assets. If you sell in a rush to get out of a down market, you could end up missing some big gains when it corrects. A few bullish days in the market can yield a big return; however, you will miss those few days that could make a $20,000 difference over a decade of investment. Buffet advised to look at the earnings sheet to determine whether you have made a good investment, not the market. You can’t judge your investment strategy all of the sudden; you have to look long-term. 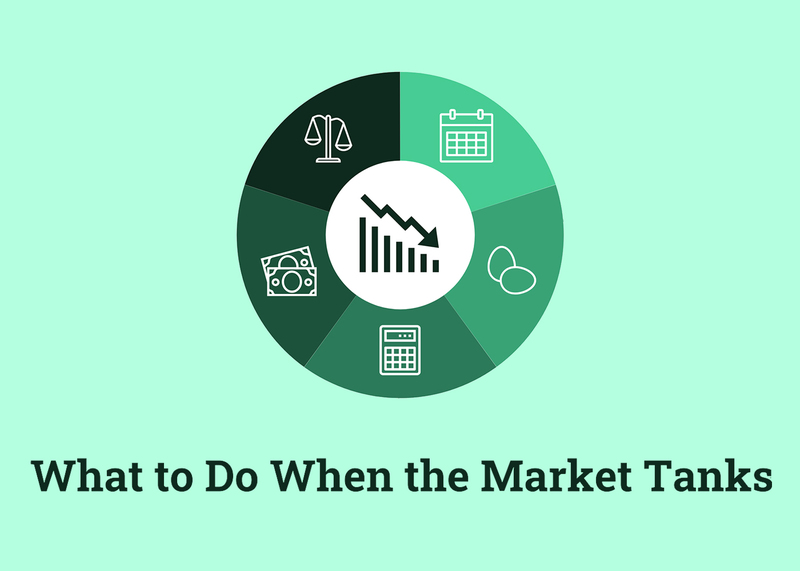 Many financial advisors suggest a strategy to create tax losses to offset capital gains by selling an investment. If your gains are less than your losses, you can claim those losses on your tax return. You can carry over losses greater than the amount you can claim on your annual return to another tax year. The strategy is called tax-loss harvesting. A good financial advisor can assist you with developing a strategy that works for you. Another thing that many financial advisors agree on is to stay calm. Staying in the market during a crash is important for younger investors. Older investors may be worried that the market crash will trash their retirement nest egg. If you’re really worried about things like a college or retirement fund, you can take steps to protect these funds. Reduce your debt. If you start losing money in the market that threatens to deplete your funds, you don’t want to have to pay creditors while trying to take care of yourself and maintain your accounts. Ask your financial advisor about reducing the amount of risk you have. You’ll at least feel more confident about your portfolio if you know that you’ll have a healthy portfolio that’s relatively immune to fluctuations. Don’t invest money you think you may need. This is especially important for retirees who may only have investment income to rely on as they get older. Young or old, the best protection may be to consult an experienced financial advisor before making any investment moves. Speaking with a professional can give you peace of mind and sound advice during economic turbulence. This content is developed from sources believed to be providing accurate information. Please consult legal or tax professionals for specific information regarding your individual situation. The opinions expressed and material provided are for general information only.